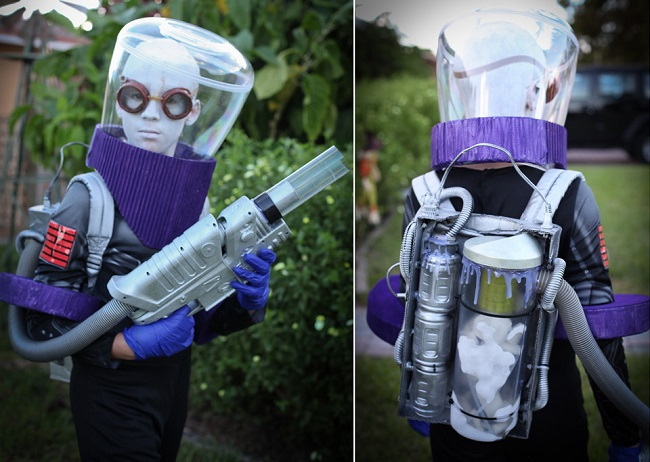 Halloween Costumes Of Children That Amazing. Halloween party by displaying creepy costumes for adults already looks normal. But what would be that creepy costume worn by children? Not just wearing a perfunctory costume, but still looks perfect. Surely the children's sweet faces will turn into creepy as in horror movies. 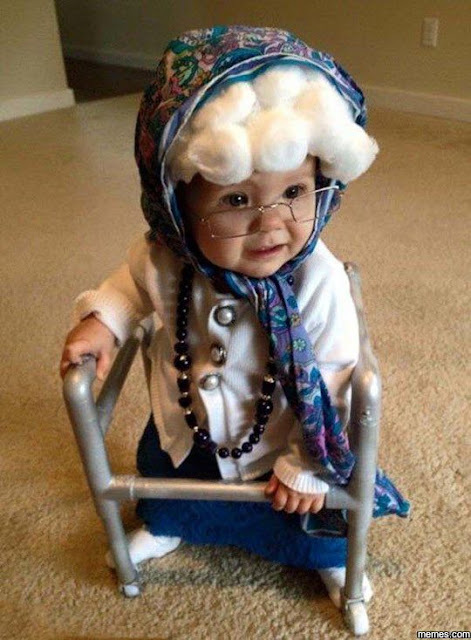 Curious little kid costume how is that? Here's the information. Sometimes a makeup artist likes to show how much he or she has transformed others. Just as Lynn Hetherington Becker did, she used her job by dressing her 3-year-old girl into a very ugly old woman. Instantly that cute and adorable face turns completely old wrinkled and creepy. How's a friend? Interested in such makeup? If a friend of horror movie lovers, it seems familiar with the costumes worn by the little boy above. 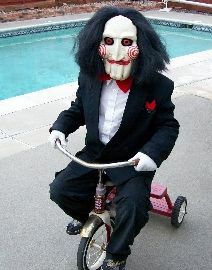 The costume is a clothing worn by Billy The Puppet in Jigsaw film. There are interesting from Halloween in 2016 in America because fitting in this year there are also 2 presidential candidates who will scramble to become the number 1 in the Land of Uncle Sam. 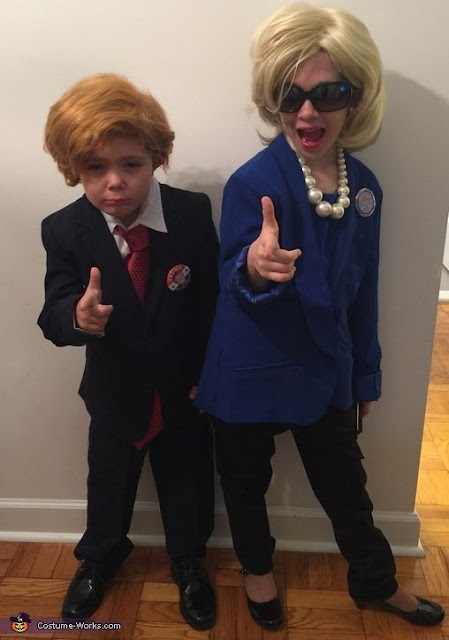 It seems that the moment inspired the two children to make up similar to Donald Trump and Hillary Clinton, but certainly in the mini version. 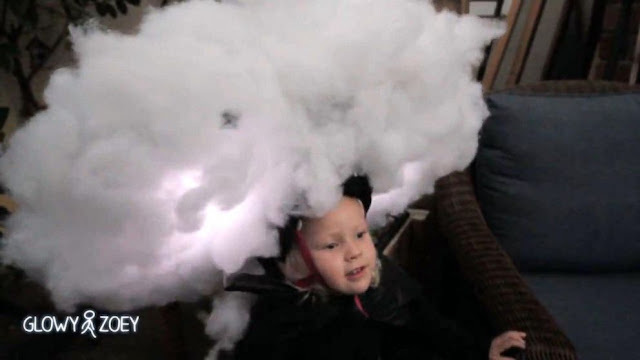 The boy became viral on the internet when his father uploaded a video showing his son using an El Nino themed costume, complete with a large cloud headdress that produced lightning and rain. 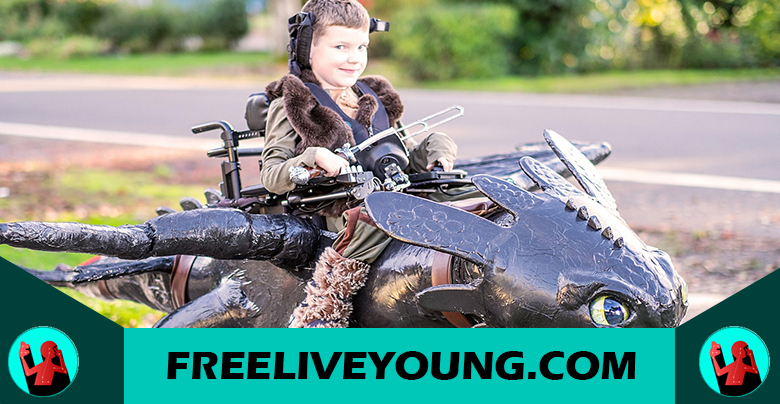 It seems that somebody in this child's family is a serious comic book fan so dressing up his son like that. A sweet face so frightening look when the needles pierce his body like a voodoo doll. 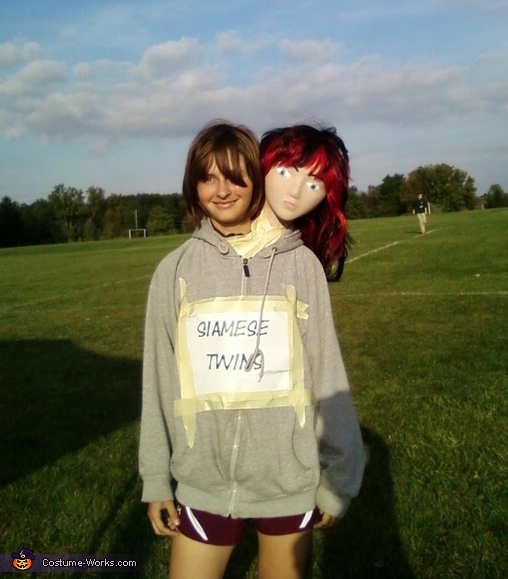 There is just this siamese twin costume maker, a real baby dressed in an extra dress so that it looks like two babies in one body. 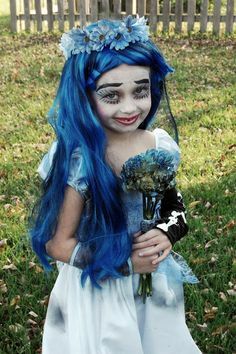 This sweet girl was six years old, she sat for 2 1/2 hours and let her mother transform herself into Emily from Corpse Bride, quite scary not a friend. 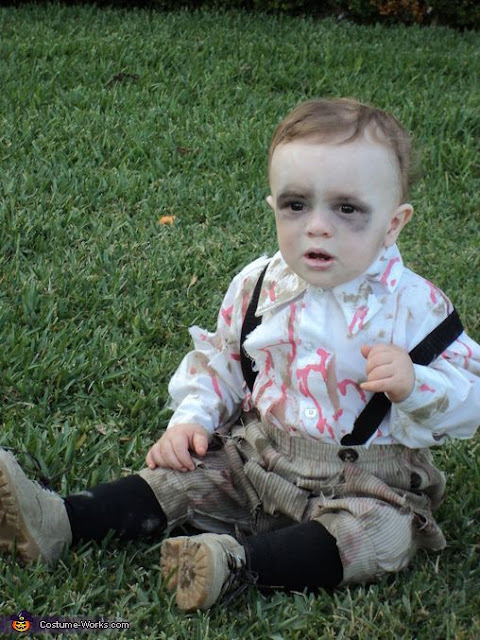 There are only parents of this baby, his son transformed into a living corpse and even go to the cemetery just to just take pictures. Ok, that's Halloween Costumes Of Children That Amazing thanks for reading don't forget to share and comment below. Read too: Items you should bring with you if you're a travel blogger.